Indiana Code 9-21-8-37 - A person who drives a vehicle should exercise great care to avoid colliding with a pedestrian or person on a bicycle, giving an audible signal when necessary, and exercise great care upon observing a child. Indiana Code 9-21-11-2 - A person riding a bicycle on a roadway has all the rights and duties that are applicable to a person who drives a vehicle. Unfortunately, no matter how much bicyclists may adhere to the codes that govern bicycle safety, many are still involved in tragic collisions. Clearly, there are huge safety concerns for any bicyclist, but the hazards of the road are magnified when inattentive drivers do not adhere to motorist laws as well. If you or your loved one was harmed in a bicycle accident in Indianapolis, you must speak with an Indiana personal injury lawyer immediately. We can help prove liability on the part of the at-fault driver, and we can represent any case involving cycle litigation in Indiana, Indianapolis, and Lebanon. We have devoted a portion of our practice to assisting victims of accidents, and our legal team of skilled trial lawyers has more than 75 years of combined experience! We want to help you on your path to recovery! If you have been involved in a bicycle collision, we suggest that you speak immediately with a lawyer. There is a statute of limitations on bicycle accident claims, so taking action in a timely manner will make a difference in your claim! Although you can file for a claim on your own, only an experienced Indiana bicycle accident attorney will have an intimate knowledge of the law and of insurance company practices. Oftentimes, an insurance company will try to offer you less compensation than what you actually deserve. We can help you through the process of filing a claim, investigating the cause of your accident, calculate your injuries or damages in a monetary form, and take legal action against negligent parties to maximize your benefits. Both Attorneys Tony Patterson and Paul Kruse have decades of experience representing injured victims in the community. Dedicated to helping clients move forward in life after an accident, Attorneys Patterson and Kruse have secured millions in compensation for clients after an accident. Recognizing our prominence in this area of law, the Top Trial Lawyers in America® has admitted Attorney Patterson to the Million Dollar Advocates Forum®, which is limited to less than 1% of practicing attorneys who have obtained million-dollar verdicts and settlements on behalf of clients. 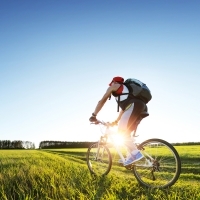 Whether you are an avid cyclist, recreational cyclist, or your child was injured on a bike, we are here to help! With our years of experience, extensive trial skills, and history of representing victims of high-profile cases, we can help you. We offer free case evaluations so there is no risk in calling our firm. Contact our Indianapolis personal injury lawyers today! Our phone lines are open 24 hours a day, 7 days a week for your convenience! If we choose to take on your case, you can expect that we will prepare your case to the fullest extent to fight for your interests in court. Court Determines Landowner May Be Entitled to Immunity Under Recreational-Use Statute Even When Land is Not Solely Used for Recreational Purposes Recently, a state supreme court issued an opinion in a personal injury case presenting an important issue for Indiana premises liability plaintiffs.